England has a great tradition in the naval sector of activity and it has various ports from which you can embark on cruises around the world. One of these ports is the renowned Southampton Port. In this article, we will cover details about the port, what you can visit in Southampton and how to get a Heathrow to Southampton Port Taxi. If you are catching a cruise from Southampton Port you must take some time to visit the beautiful town of Southampton and enjoy its history and architectural beauty. If you are interested in the medieval times to be sure to visit here the longest surviving medieval walls. Another historical attraction is Tudor House and Garden a beautiful house build in the 1180s that was transformed in the 1920s in a museum. Another interesting location is the Southampton Maritime Museum opened in 2012 at the 100th commemoration since the departure from Southampton of the famous ship Titanic that sunk in 1912 after colliding with an iceberg during the crossing of the North Atlantic Ocean. Another famous attraction in the area is the Medieval Merchant’s House built in the late 13th century by the merchant John Fortin; after surviving the passing of time and the bombing in WWII, the building has been restored and it is now open to visitors. If you are passionate about art you can visit the Southampton City Art Gallery that hosts over 3500 art works and you can find here excellent educational opportunities. Near Southampton there is a series of attractions that may be of interest for you. In the beautiful village of Netley lies the medieval Cistercian monastery Netley Abbey that was found in 1239 and has the best-preserved ruins of the church and the monastic buildings. If you are passionate about yachting then surely you should visit the village of Hamble-le-Rice that is located on the river estuary and abounded in wildlife. Another historical attraction is the Calshot Castle built by Henry VIII as a fort with the purpose of defending the shores of England. Accommodations in Southampton is easy to find. There are over 50 proprieties from which you can choose. Among the international chain hotels found here, we mention the Hilton, Holiday Inn, Best Western and Premier Inn. The prices vary from 85 to 280 pounds per night depending on the facilities and location you wish to choose. If you are looking for a cruise ship company in Southampton the most known and recommended are: Royal Caribbean, Princess Cruises, Cunard, Celebrity Cruises and P&O Cruises. The port is opened annually to over 1 million passengers travelling with the cruise ships based here. 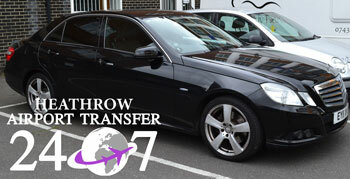 If you are landing at Heathrow and are looking to reach directly the port you can always choose our Heathrow to Southampton Port taxi service. Our prices are affordable and we offer quality service including some additional bonuses such as free Wi-Fi and card payment in the car. A price for a Heathrow to Southampton Port taxi service starts at 95GBP for a normal saloon vehicle that can fit up to 4 passengers with 2 medium luggage and 2 hand luggage. Find out more about prices and vehicles available in our contact section.